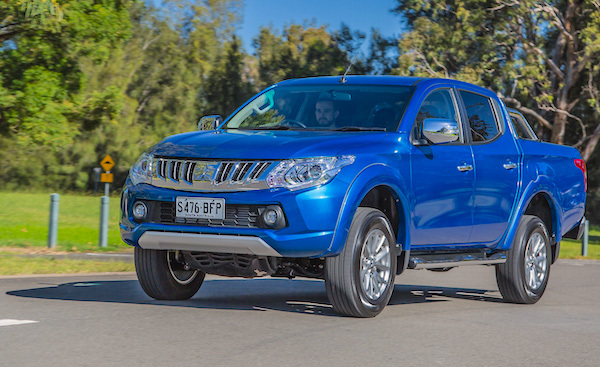 The Mitsubishi Triton (+6%) makes it 4 pickups in the Top 4 in July and YTD. New vehicle sales in New Zealand gain 6.2% year-on-year in July to 12.325 registrations, the second best result for the month below July 1984, pushing the YTD tally up 1.8% to an all-time high 92.348. Passenger and SUV July sales are up 5.7% to 8.041 while commercial vehicles leap up 6.4% to 4.283. Brand leader Toyota brilliantly more than doubles the market growth at +14% yet its share is lower than YTD at 16.8% vs. 17.4%. On the other hand Ford (+1%), Mazda (-1%) and Mitsubishi (+3%) all trail the market in the remainder of the Top 4, with Hyundai (+21%) and Nissan (+15%) posting the largest year-on-year gains in the Top 10. Further down, LDV (+116%), Land Rover (+53%), Skoda (+32%) and Subaru (+24%) are among the most dynamic. The Ford Ranger (+3%) holds onto the models top spot for the 4th consecutive month but the Toyota Hilux (+1%) is only 16 units below this month. The Holden Colorado (+23%) and Mitsubishi Triton (+6%) make it 4 pickups in the Top 4, a situation that is now replicated in the YTD order for a historical first. The Toyota RAV4 (+30%) is the best-selling passenger car at #5 followed by the Mazda CX-5 (+2%) and Kia Sportage (-7%). Excellent performances of the Mitsubishi ASX (+128%), Holden Captiva (+80%), Suzuki Swift (+60%) and Honda Jazz (+37%). Full July 2018 Top 70 All-brands and Top 30 models below.